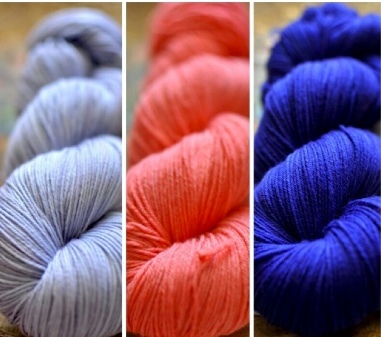 Tumbleweed Yarn decided to use wildflowers as inspiration for our new colorways and Kitman’s summer MKAL. In October of last year my husband and I bought a house just outside of Galveston, TX. We currently live in Fort Worth, TX and we have plans to move to this new house in 3 years after he retires. Currently the house is undergoing some renovations, and I have been overseeing the work long distance. This is something I do not advise doing. Fort Worth is in north Texas and Galveston is in south Texas. The drive takes approximately 5 hours. I have been making this drive almost once a week now since the renovations began. Wheeeeeee! Although I do like road trips, taking this long drive solo has been trying. Until…the wildflowers. 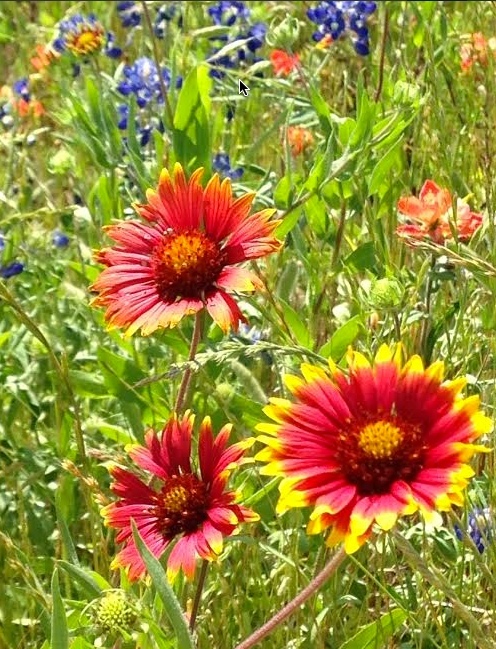 In the springtime our Texas highways are covered with delicate blankets of vibrant color. 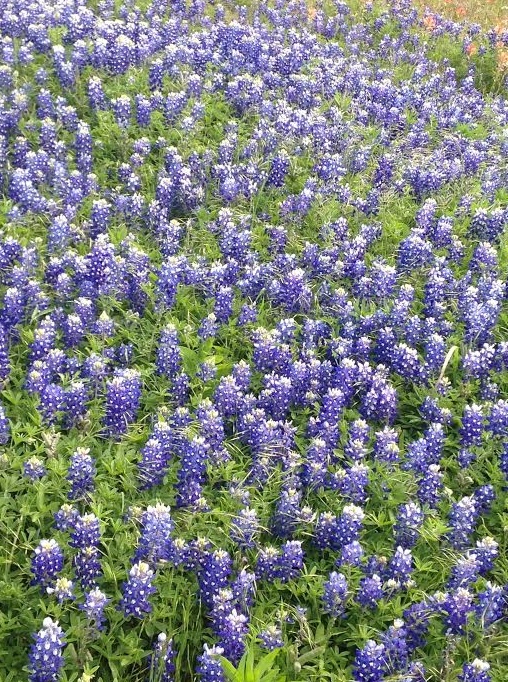 Almost every household in Texas has a portrait hanging on their wall of the family nestled in a field of bluebonnets. And for someone who loves color, this has been a welcomed change in the scenery. The 3 flowers we chose to be inspired by are the bluebonnet (which is the state flower of Texas), the indian blanket, and the thistle. 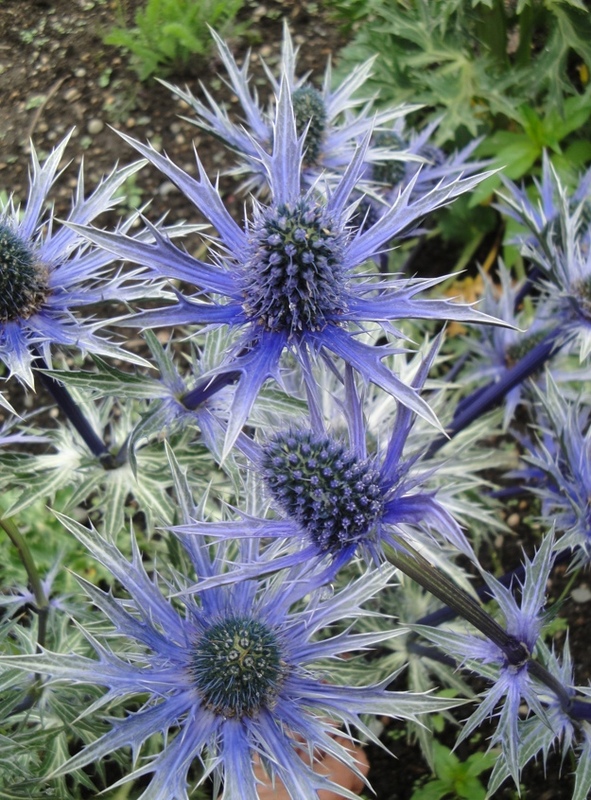 Kitman’s shawl MKAL is also inspired by the wildflower. I have seen the completed shawl and it is BEAUTIFUL! Those of you who are already signed up to knit it will not be disappointed. It is probably my favorite shawl of hers to date. And if you are not signed up for the MKAL please visit Kitman’s Ravelry site and look at her other designs and get the details for this knit-along. It might help you to decide to come on board with this one.